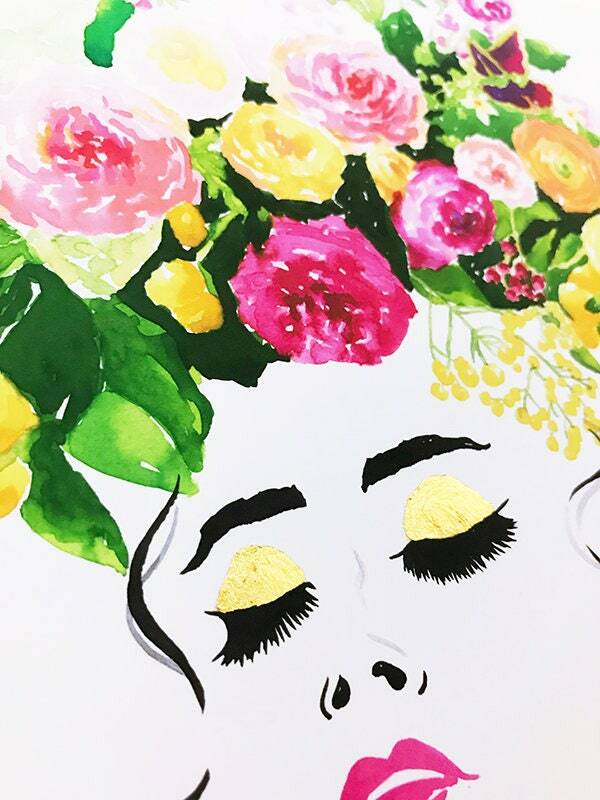 This Floral Fashion print, made from my original watercolor painting, is the perfect print to make any room Pinterest-worthy! It is just gorgeous with the perfect touch of gold leaf as her eyeshadow!! And, each one is printed on carefully selected, high quality paper with archival inks to ensure a beautifully vibrant print, and also meets our uncompromising quality standards. 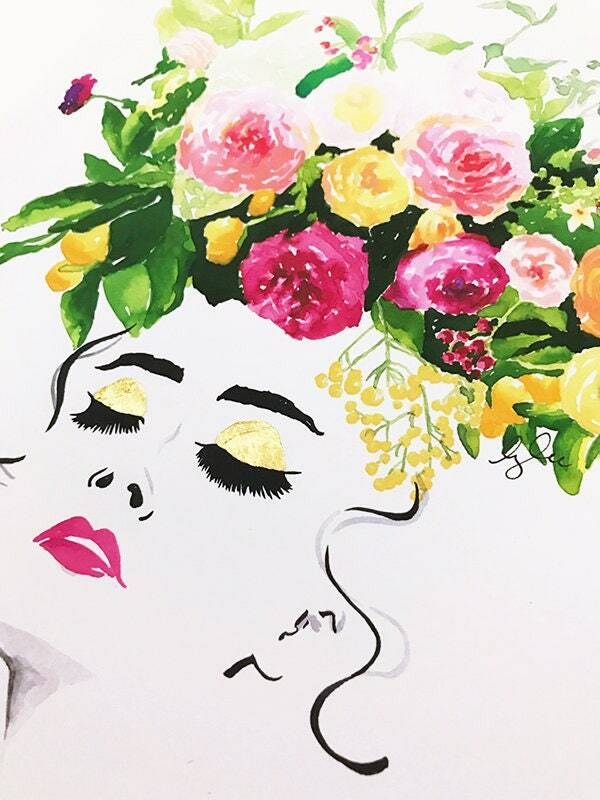 BUT the hand applied gold leaf that I so delicately add to each print is what makes it so unique and to-die-for! Additionally, because I personally gild each print by hand, no two will ever be the same. 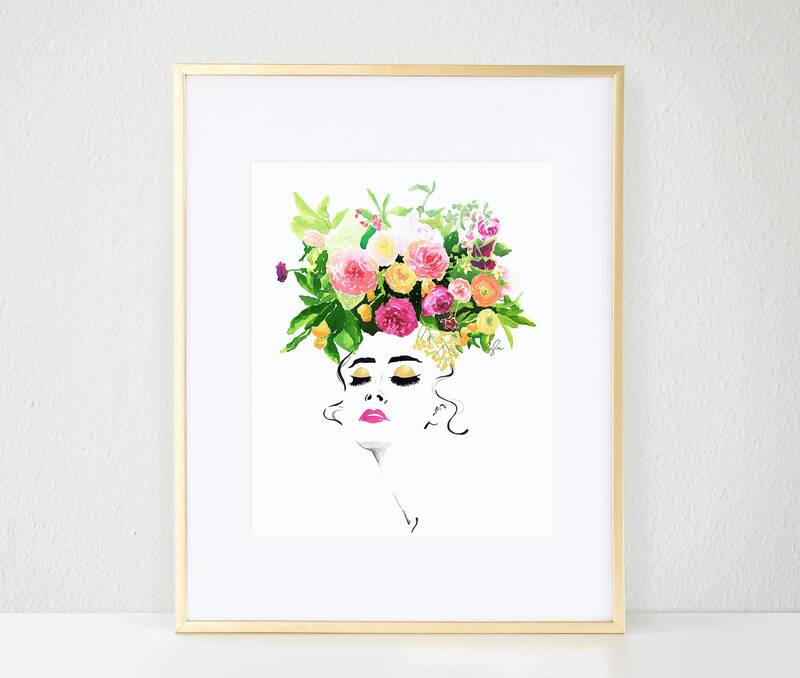 The 11"x14" print when matted and framed to 16"x20" would make the perfect statement piece, or an easy way to add a pop of color to any room, gallery wall, closet space, bathroom or even your office! Print is shipped in a clear protective sleeve, and a flat stiffened envelope for arrival in best possible condition. Please allow up to 2-3 weeks after purchase for item to ship, as each print is personally hand gilded by me!